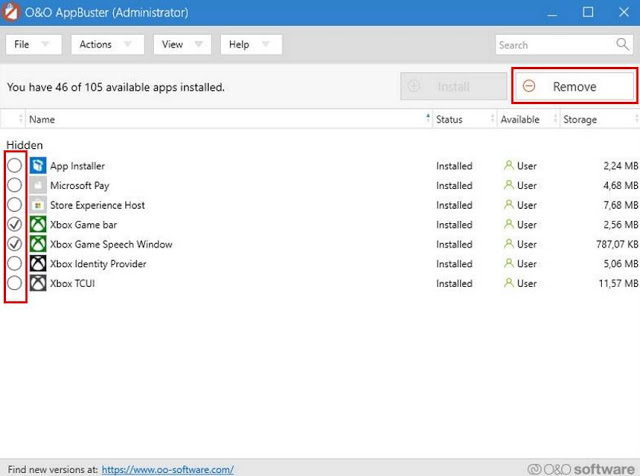 Windows 10 comes pre-installed apps, which in most cases are not used. 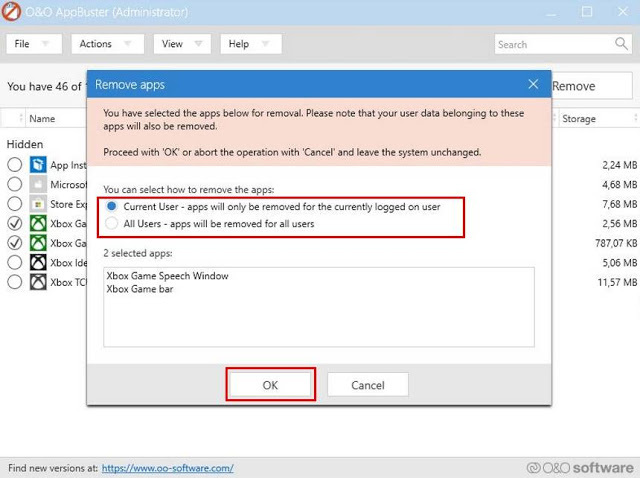 We have previously talked about how to remove these applications from your computer, however, some apps can't be removed because they are hidden. Since you're removing programs that comes with the system, it is always best to make a backup and restore point before performing any modifications. In addition, if you do not know the nature of every program you are uninstalling, it is best to avoid it. 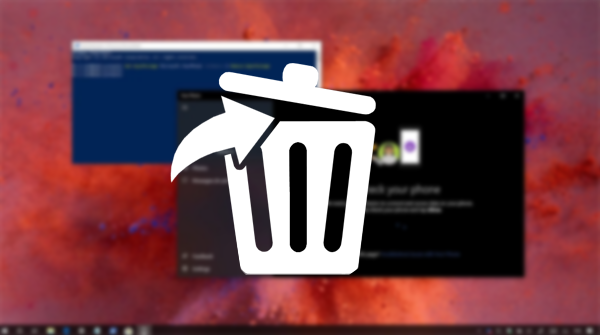 How to Remove Hidden Applications from Windows 10 ? 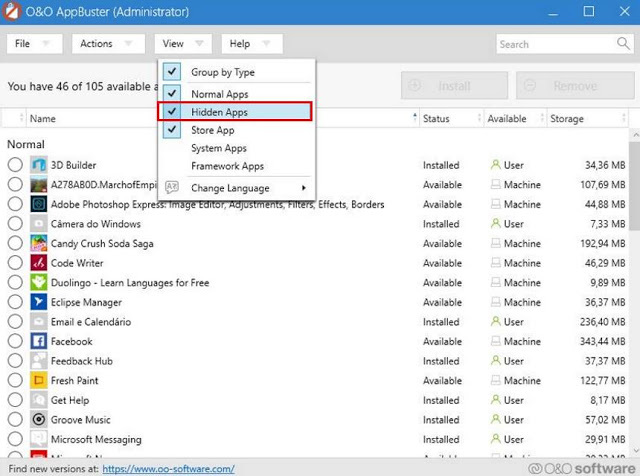 As mentioned earlier, these types of applications can not be removed directly with Windows, and it is necessary to use an external tool. 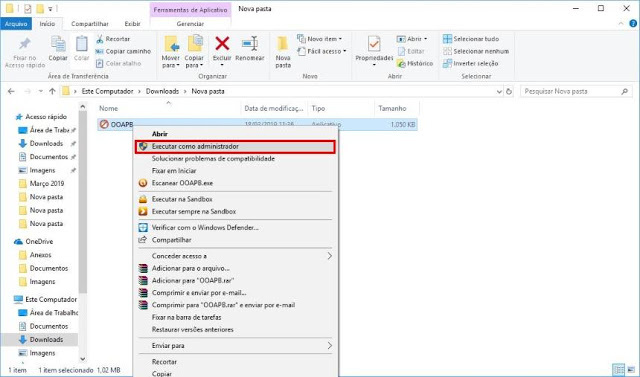 In the window that appears, you can choose to delete the app only for you or all Windows users. Click OK and wait for the process to complete. 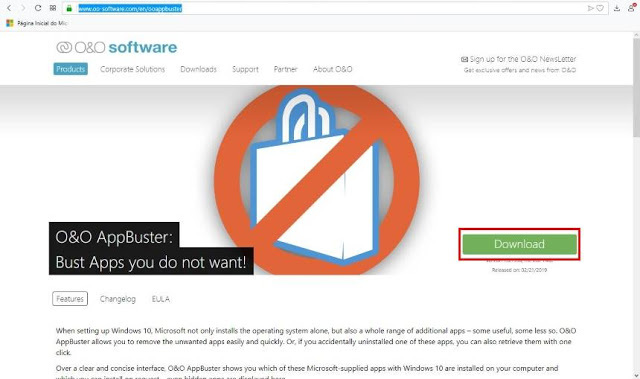 In addition to removing hidden applications from Windows 10, you can also uninstall other bloatwares from it. To do this, in addition to displaying the "hidden" option items, allow AppBuster O & O to also display "normal applications."